Pioneered by Mark and Lindsay Melluish, this course is largely aimed at parents with children under 12. The aim is to help parents take time out to reflect and gain inspiration from others, as well as finding a fresh vision for their family. The 6-session DVD takes the pressure off small groups or busy parents to plan and prepare the talks for every session. Instead, they can get a group of parents together informally and watch the DVD at leisure and engage in discussion afterwards. It is an ideal way for parents to draw families in the community into a non-threatening Christian environment. Who is influencing my children? 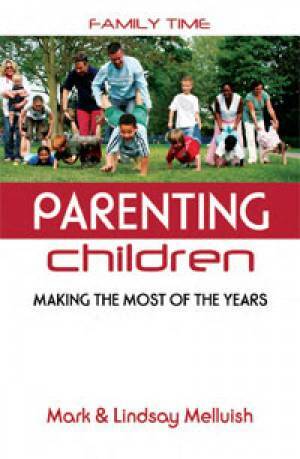 Parenting Children DVD by Mark & Lindsay Melluish is published by David C Cook and is our 15616th best seller. The ISBN for Parenting Children DVD is 5019282000481. Be the first to review Parenting Children DVD! Got a question? No problem! Just click here to ask us about Parenting Children DVD.